Does your company need financial incentive to justify RTW efforts? – TeksMed Services Inc. Does your company need financial incentive to justify RTW efforts? It took Ontario employers many years and counting to understand and get used to WSIB’s soon-to-be old, New Experimental Experience Rating (NEER) system. This experience rating program, along with the CAD7 and MAP will soon be replaced by a new premium rate framework expected to take their place in 2019. In preparation for this major change, employers must welcome a new way of thinking about return-to-work efforts, even when direct financial incentive may not be immediately apparent. There are many benefits to accommodating those suffering from an occupational injury or illness for both the employer and the injured/ill employee. Benefits aside, the duty to accommodate is a legal requirement under the Workplace Safety and Insurance Act which should be met to the point of undue hardship, in order to remain compliant. Nonetheless, employers like to explore how far they can or should push a particular return-to-work effort, taking into consideration their bottom line, before calling it quits. The NEER has taught us that if an injury exceeds five days of lost time, that claim will be subject to exponentially higher costs once applied to an account with Projected Future Costs and Overhead; rising in the event of continued absenteeism until maximum claim costs are reached. The majority of Ontario employers do see the financial value in creating accommodations, many who have learned to see it the hard way, by paying high year-end surcharges to WSIB without truly understanding why and how that could have been prevented. An understanding of ‘the system’ helps support well known stay-at-work, recover-at-work and no-lost-time initiatives in workplaces across the province. What happens to this passion for return-to-work when that financial incentive is gone? Often and in particular when a claim or accident year reaches maximum costs, employers are suddenly less inspired to pay for transportation, top-up wages and invest in assistive aids to support the initiative. Some also question what incentive will exist in the future when there are no more NEER or CAD7 surcharges. To put it bluntly, there will always be surcharges. The main difference will be having to pay them at the beginning of the year through inflated premiums, rather than at the end. All insurers and WSIB is no exception, adjust premiums to better reflect a company’s individual performance, taking into consideration a number of factors in order to assign more or less financial accountability; one factor which can be managed is the total cost of claims. 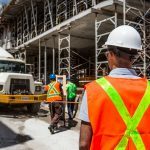 The review window for WSIB will be moving to six retrospective years under the new premium rate framework for both construction and non-construction employers. The total costs considered will be the total costs of actual benefits paid in a given year (Discounted Past Awards vs. Total Limited Claim Cost). It is therefore no longer relevant whether or not your claim or accident year is ‘maxed out’ under the NEER after Projected Future Costs and Overhead are applied. The total cost of all benefits continues to grow as employees sustain injuries and remain off work. Assisting them through recovery and creating accommodations will always be the key to reduced costs, today and in the future. For more information on how you can prepare your organization for the upcoming changes, please feel free to contact our team. We are already working with our clients on ensuring they are in the best possible position entering the new system.